"Kansas soil is full of fools who thought they were quicker." Clay (Paré) is a loving father but after his son is killed something changes in his family. Not wanting to live in depression any longer his daughter decides to leave and start her new life. 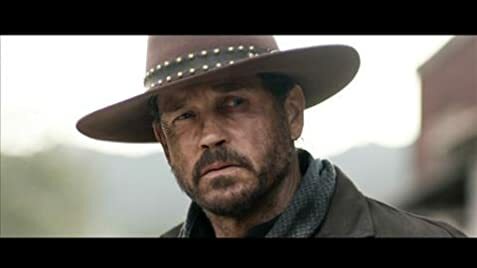 When Clay realizes that something has gone wrong he will stop at nothing to find his daughter and bring her home safe. 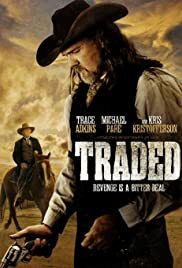 There have been a ton of these cheaply made westerns and most are almost unwatchable. While this won't stand along side modern classics like Open Range or Tombstone this is definitely one of the better ones to come out lately. That being said, this is essentially a western version of Taken. Adkins is a little over the top in this, but it works. Paré does a great job of carrying the movie and adds something to the movie to keep it from becoming too cheesy. Western fans will definitely enjoy this one. Overall, one of the better westerns to come out in a while. I liked this. I give it a B.